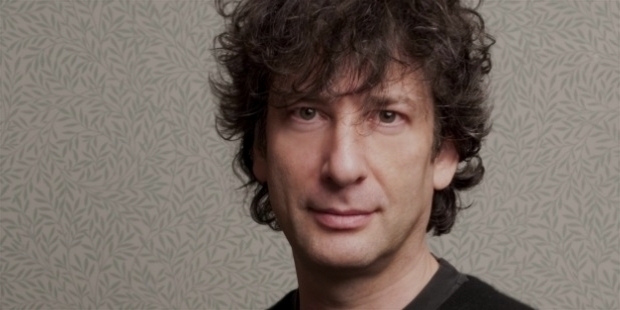 Neil Gaiman was more of a comic book writer than a novelist. However, he had garnered the same amount of respect and accolades from both of his main works, as well as being a screenwriter and voice actor among others. 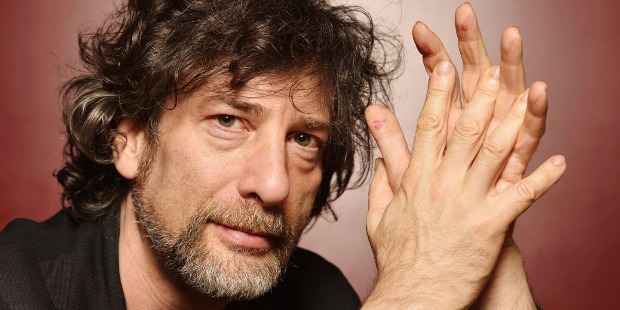 Born Neil Richard Gaiman on November 10, 1960, at Portchester, Hampshire, England, to Jewish parents, Neil was heavily influenced by lots of contemporary literature that he enjoyed reading while he was young. His favorites include the works of C.S. Lewis, J.R.R. Tolkien, James Branch Cabell, Edgar Allan Poe, Michael Moorcock, Ursula K. LeGuin, Gene Wolfe, and G.K. Chesterton. But, what really nailed the coffin for his love of written words is the discovery of comic books. Since then, he had dabbled with an extensive portfolio of graphic comic books and credits as one of the creators of modern comics, along with best-selling novels in his entire career. His writing career took off as he worked as a journalist in the United Kingdom. His first book was a biography of the then famous group of musician, Duran Duran. Then, he proceeded to write graphic novels mostly published by DC Comics. His groundbreaking comic series, The Sandman, which ran with 72 issues and collected numerous US awards, became the first comic to receive a literary award. 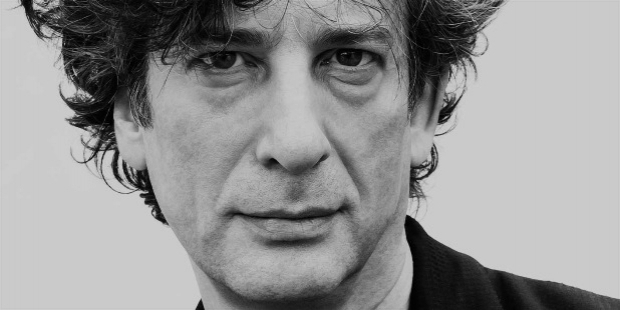 Other notable works Neil Gaiman wrote include the award-winning novels Stardust, American Gods, Coraline, and The Graveyard Book. 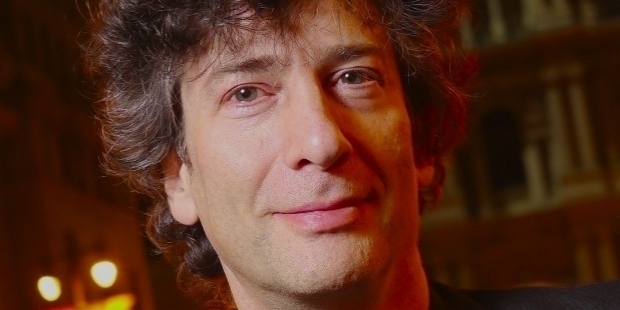 Gaiman's works had definitely transcended genres and reached audiences of all ages, As one of the top ten living post-modern writers according to the Dictionary of Literary Biography and a prolific creator of prose, science fiction, fantasy, and drama, Neil Gaiman certainly achieved the cult status he deserved. 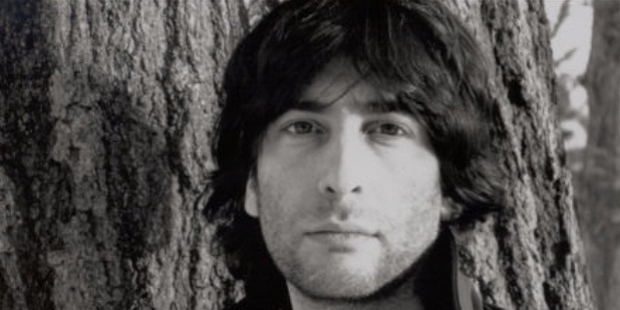 Neil Richard Gaiman was born in Portchester, a part of Hampshire County in southern England. 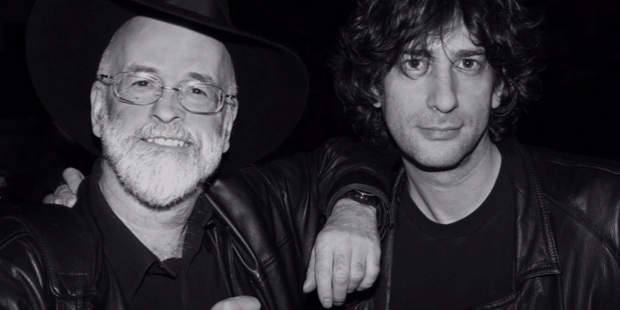 With a Polish-Jewish and other Eastern European-Jewish origins, his father, David Bernard Gaiman, worked at a chain of grocery stores his grandfather has established after emigrating from Antwerp, Belgium; while his mother, Shiela Gaiman, was a pharmacist. He has two younger sisters, Claire and Lizzy. In 1965, his family moved to West Sussex, East Grinstead, where his parents studied Scientology, in which Gaiman did not care less. 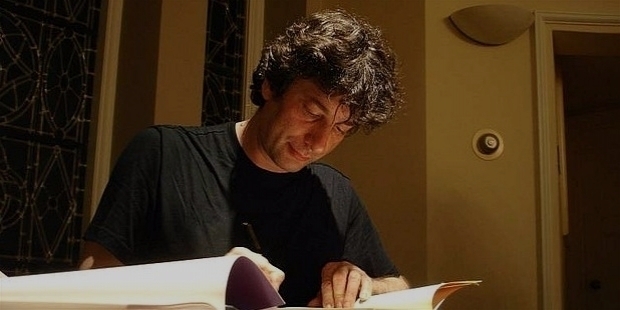 As a child, Neil Gaiman was able to develop a love for books, stories, and reading as he devoured page and pages of books at the local library. The works of Dennis Wheatley, particularly The Ka of Gifford Hillary and The Haunting of Toby Jugg, made an impact to him, while J. R. R. Tolkien's The Lord of the Rings made him won the third installment as his school's English prize and the school reading prize. He also received C. S. Lewis's The Chronicles of Narnia series on his birthday, while Lewis Carroll's Alice's Adventures in Wonderland was a classic childhood favorite of his. He read books in a number of various genres, especially comics as well as science fiction and fantasy works. 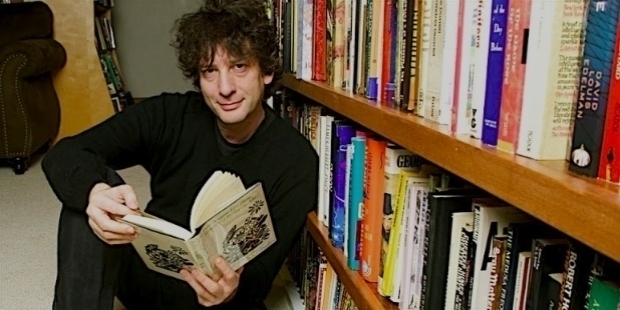 These popular literary works can be said as Gaiman's first influence in writing. 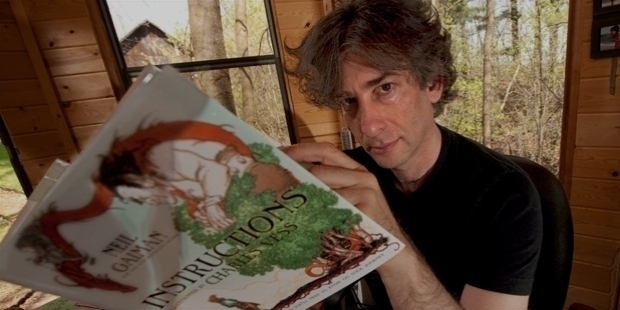 Neil Gaiman's early education comes from several Church of England schools such as Fonthill School in East Grinstead, Ardingly College in the year between 1970–1974, and Whitgift School in Croydon from 1974–1977. Unable to attend a boys' school because of his father's position at the Church of Scientology, Gaiman remained at East Grinstead 1965 to 1980 and from 1984 to 1987. 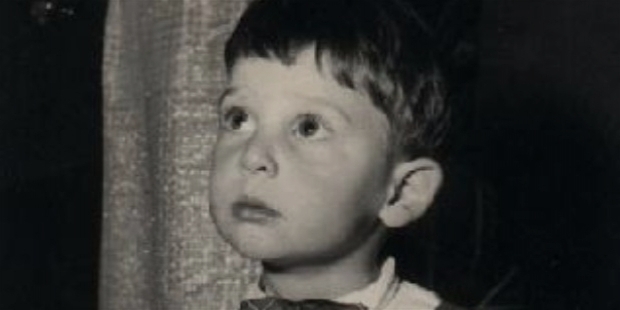 From being an avid reader in his childhood years, Neil Gaiman grew up to be a best-selling and critically acclaimed writer. From rummaging through every book in local libraries, he had become an extraordinary and unique storyteller whose works ranges from graphic novels, short stories, novels, and children's books to scripts for television and films. His first job as a journalist in the early 1980s allowed him to conduct interviews and write book interviews of several famous authors back then, in which he learned about the world and made connections that would, later on, help him publish his works. He wrote about and reviewed the works of the authors from the British Fantasy Society and published his first short story, Featherquest, in May of 1984 through Imagine Magazine. In 1984, his first book was written. It was a biography of the popular band, Duran Duran. Next was a book of quotations named Ghastly Beyond Belief, which he co-wrote with Kim Newman. During this time, he also penned many interviews and reviews for a number of British magazines like Knave, which he uses several pseudonyms such as Gerry Musgrave, Richard Grey, and many other "household names." Aside from his journalistic journey in the '80s, he was also able to write Don't Panic: The Official Hitchhiker's Guide to the Galaxy Companion with a classic English humor style. He followed it with Good Omens, a comic novel about the forthcoming apocalypse which he collaborated with fellow Engish author, Terry Pratchett. 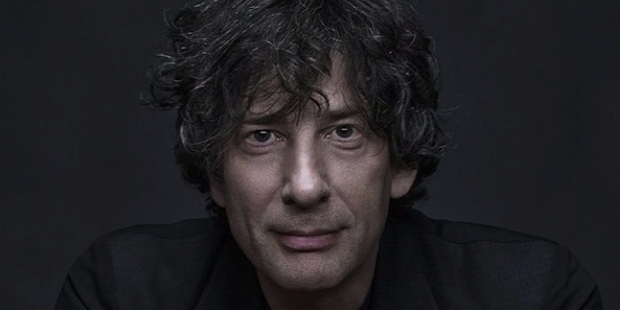 Because of the nature of British magazines' publication of false stories and presenting them as truths, Niel Gaiman ended his journalism career in 1987. In 1984, he discovered Alan Moore's Swamp Thing while waiting for a train at Victoria Station. After befriending the author, he started writing comic books beginning with Miracleman as Moore ended his run on the series. Eclipse Comics, the publisher of the series, collapsed, so he was able to produce his first ever comic strips, Future Shocks, for 2000 AD between 1986 to 1987. 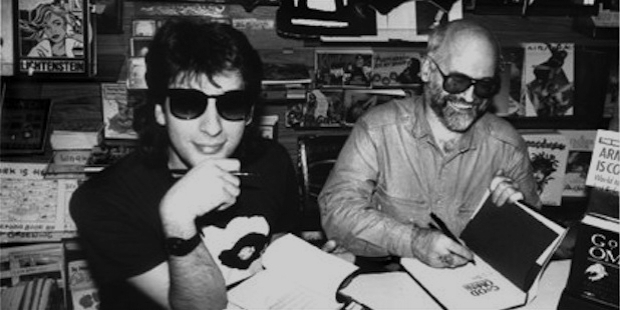 During this time, he also published three graphic novels: Violent Cases, Signal to Noise, and The Tragical Comedy or Comical Tragedy of Mr. Punch with his favorite collaborator and long-time friend, Dave McKean. And on February of 1987, DC Comics hired him and Gaiman wrote Black Orchid, a limited series. It attracted the attention of Karen Berger and asked him to re-write The Sandman with his own spin, along with the artist, Mike Drigenberg. It had its premiere in January 1989 and took its final bow in March 1996. In the time of its run, he also collaborated with other artists such as Sam Kieth, Mike Dringenberg, Jill Thompson, Shawn McManus, Marc Hempel, Michael Zulli, Todd Klein, Daniel Vozzo, and of course, Dave McKean. The series then became DC Comics' top-selling titles, which surpasses even Batman and Superman as well as becoming one of Neil Gaiman's many successes. Following thereafter, Gaiman produced two more stories for DC's Secret Origins series, Poison Ivy which was drawn by Mark Buckingham and Riddler with an illustration from Bernie Mireault and Matt Wagner. He also wrote Green Lantern/Superman: Legend of the Green Flame in the same year of 1989 which was later on published in 2000. The following year, Gaiman wrote a four-part mini-series about the DC Universe called The Books of Magic. In the mid-1990s, he continued to create several new characters: Lady Justice, Mr. Hero the Newmatic Man, and Teknophage which was published by Tekno Comix. Moving on, he wrote two series for Marvel Comics: Marvel 1602, a limited series published from November 2003 to June 2004 with art by Andy Kubert and Richard Isanove; and The Eternals, another limited series published from August 2006 to March 2007 drawn by John Romita Jr.
Aside from his obvious love for writing comic books, Neil Gaiman was also a prolific fiction novelist. His first novel was a collaboration with Discworld author, Terry Pratchett, entitled Good Omens which was published in 1990. His first solo novel, Neverwhere, was published in 1996 along with a television series. And in 1999, his fantasy novel, Stardust, was released, which was adapted into the film later on. American Gods were released in 2001 and became Gaiman's best-selling and multi-awarded novel. In 2005, his novel, Anansi Boys, debuted at number one on The New York Times Best Seller List. 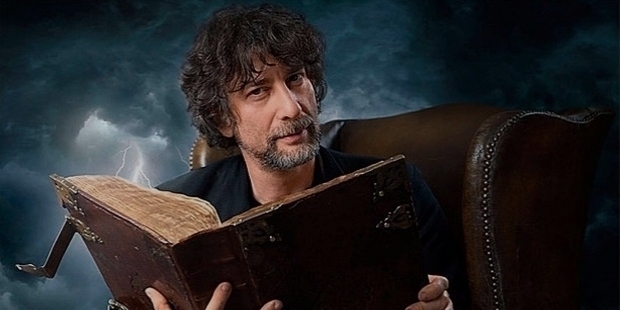 Gaiman also dabbled in children's books and debuted The Graveyard Book in 2008 which became The New York Times Bestseller Children's List for fifteen weeks as of late January, 2009. The Ocean at the End of the Lane was awarded the "Book of the Year" during the British National Book Awards in 2013. In 2016, he started working on a book about Norse mythology which was released earlier this year in February and debuted at number one on The New York Times Hardcover Fiction Bestseller List. 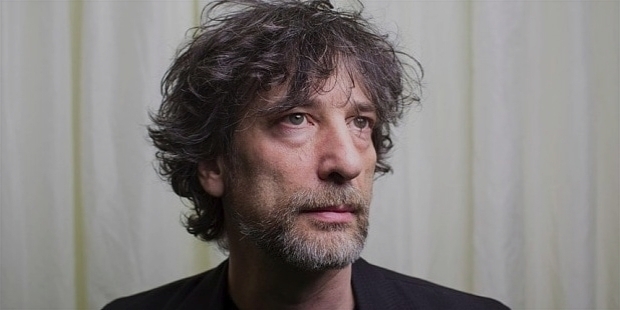 Neil Gaiman has definitely established himself as one of the creators of modern comics as well as one of the most successful novelists of the new generation. Aside from his best-sellers, he also wrote other fiction novels such as Smoke and Mirrors in 1998, Fragile Things in 2006, and Trigger Warnings: Short Fictions and Disturbances in 2015. Other books for children and young adults include The Day I Swapped My Dad for Two Goldfish" in 1997, M Is for Magic in 2007, Coraline in 2002, and Instructions in 2010. In film and television, he wrote the screenplay for the original BBC TV series of Neverwhere in 1996, and Dave McKean's first feature film, Mirrormask in 2005. He co-wrote the script to Robert Zemeckis's Beowulf and helped produced Stardust, a Matthew Vaughn's film based on Gaiman's book of the same name. He also wrote and directed A Short Film About John Bolton in 2002 and Sky Television's Statuesque in 2009. Coraline animated feature film, which was also based on his book, was released in 2009. In 1985, Neil Gaiman met Mary MacGrath while she was studying Scientology and living in the house that was owned by Gaiman's father in East Grinstead. They got married after having their first child which they named Micheal. Later on, they were able to produce two more offsprings, Holly and Madeleine. He lived in Menomonie, Wisconsin, in 1192 to be close with his family after a divorce with MacGrath. 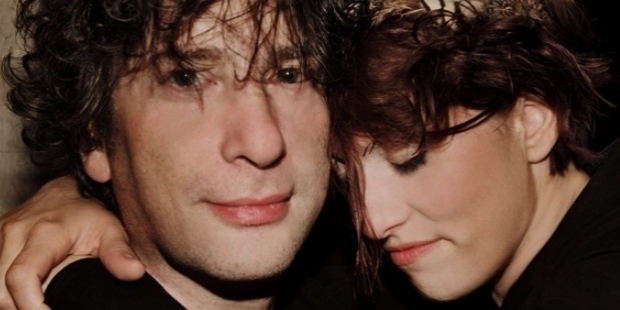 Gaiman was then legally married to singer, songwriter, and performer Amanda Palmer on the 2nd day of January 2011 through an open marriage. However, before that, Palmer hosted a non-legally binding flash mob wedding with Gaiman on November 16, 2010, after announcing their relationship on June of 2009 and engagement on the New Year of 2010. Their first son, Anthony, was then born on September 16, 2015. 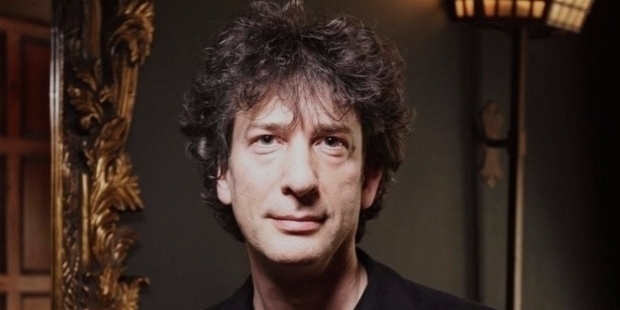 Many of Niel Gaiman's written comics and novels have been made into television series and movies. But aside from these compliments, numerous of his works also received various recognition from different award bodies and organization. For example, his graphic stories The Sandman and Overture gained him the Hugo Award for Best Graphic Story. The Graveyard Book made history by winning both the John Newbery Medal in 2008 and Carnegie Medal in 2010. The novel Coraline won a host of accolades which include Hugo Award for Best Novel, Nebula Award for Best Novella, and School Library Journal awards. It was also turned into an animated film that earned hundreds of million dollars at the global box office as well as a BAFTA award and an Academy Award nomination. 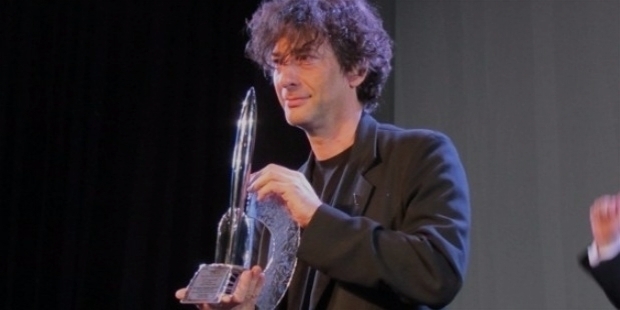 Gaiman's American Gods also received the Nebula Award for Best Novel in 2003 and were also adapted for television in 2017. His short story, A Study in Emerald won the Hugo Award for Best Short Story, while another short story, How to Talk to Girls at Parties, was made into a film. He also won several Harvey, Locus, Eisner, Inkpot, Bram Stoker, British Fantasy, and World Fantasy awards, among others, for many of his works from his entire career so far.